We have seen how we can setup our mac environment for .net based development. Here we discussed how we created a sample application using Visual Studio and Dotnet CLI tools. 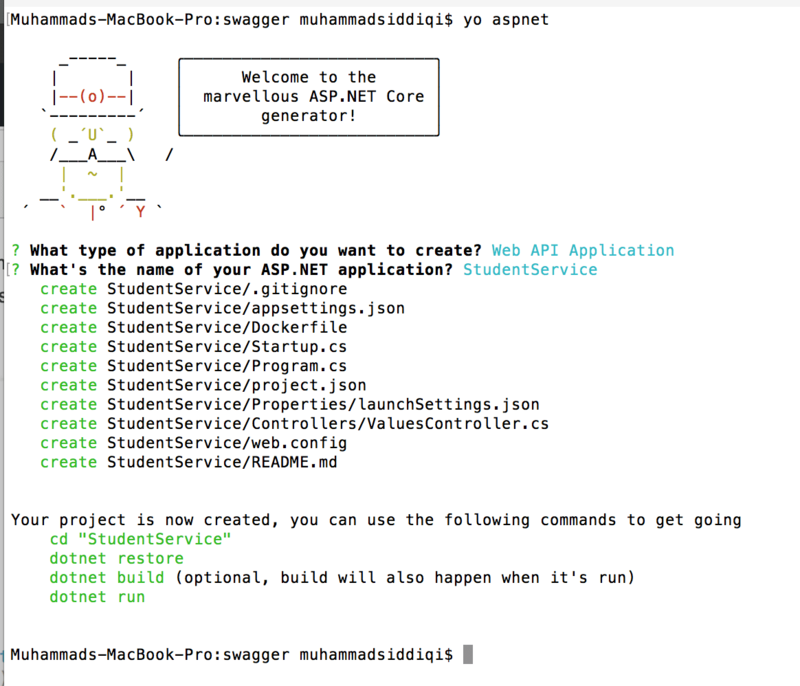 In this post we are going to see how we can use command line tools to create our first Web API using ASP.NET Core. Here we are going to use Yeoman for code generation and DOTNET CLI to build and run it. We have discussed Yeoman before for building AngularJs applications [http://www.alternatestack.com/development/rest-service-in-angular-js/]. After setting up your machine for .net core development, let’s first install asp.net generator for yeoman using npm. 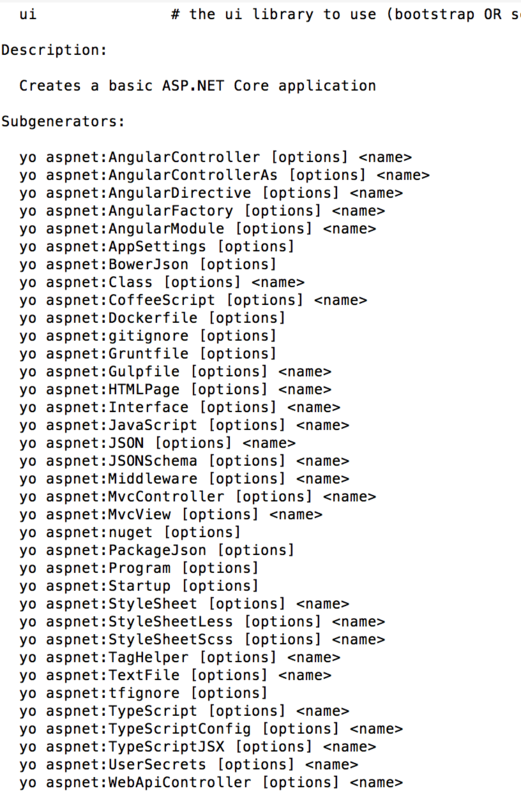 Now we can just use this generator to create a web api project using yo aspnet command. The generator gives an option to select the project type. Here we have selected Web API Application. 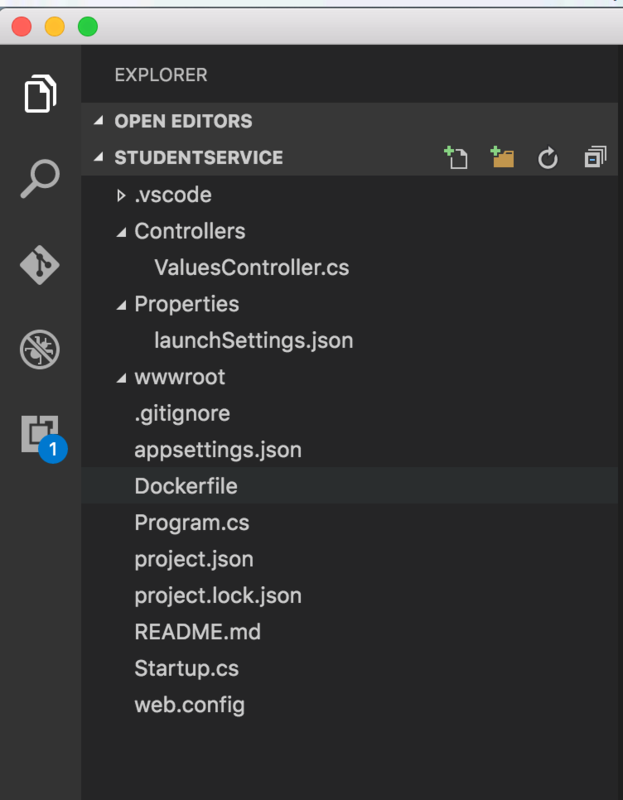 Let’s name our API as StudentService. As we remember, the first thing we do after generating a project is to restore all the dependencies. Just run dotnet restore and it would restore all dependencies for you. Let’s use WebApiController sub-generator to generate StudentsController. Here we are naming our controller as StudentsController. It would be generated in Controllers folder by default. Now let’s use Class sub-generator to create Student class. This would be used to describe a Student entity. We are creating it in model folder. Now let’s build and run the service using dotnet build and dotnet run commands. 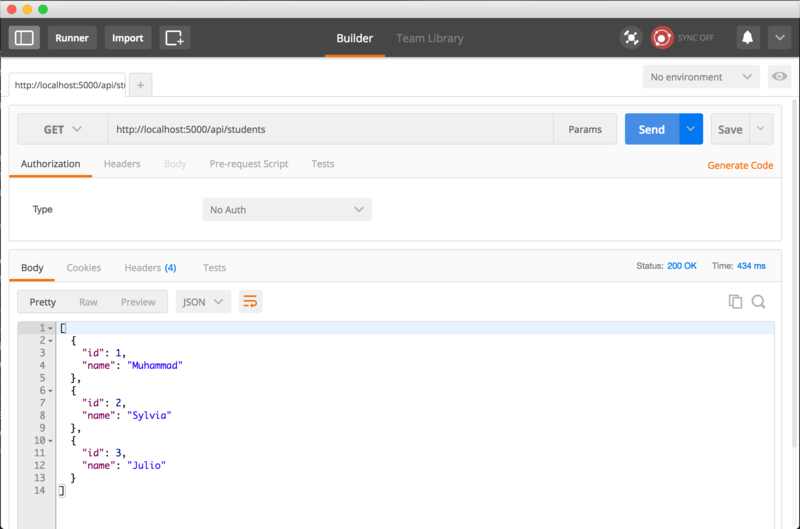 Let’s hit it using Postman. Here we we have the response for GET request from the service. If this is the first time you are developing a .net core project, and you are curious like a cat then you must be wondering where the packages folder is. Actually, this has been optimized for the framework. 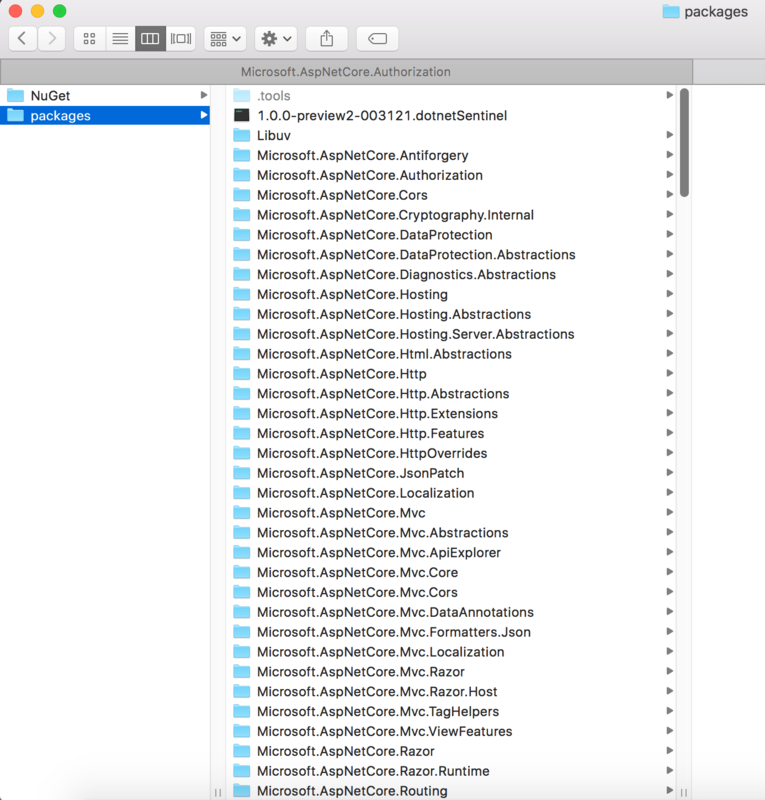 Now we just have one packages folder for the user and all applications use the same folder. This reduces the disk usage on a developer’s machine. The packages are in .nuget\packages folder. The default nuget configuration is in .nuget\Nuget.config file. You can always create a local Nuget.Config file for a different nuget repository to be used for a project.